The American Medical Asso­ciation (AMA) recently adopted new policy furthering its longtime support for anti-tobacco efforts aimed at improving public health. The new policy calls for educating the public and policymakers about several tobacco companies’ organized conspiracy to commit fraud and mislead consumers about the negative health effects of tobacco use. In 2006, a U.S. federal district court found several tobacco companies, including Phillip Morris and R.J. Reynolds, in violation of the U.S. Racketeer Influenced and Corrupt Organizations (RICO) Act—noting that their goal has been to increase revenues with little regard for individual illness and suffering or soaring health costs. 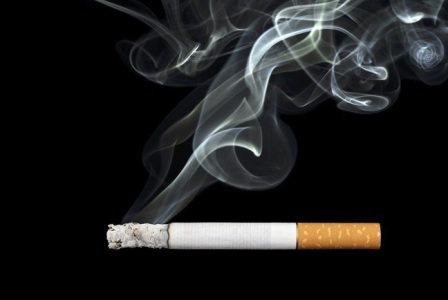 Now, more than 10 years later, a U.S. Court of Appeals has finalized the content of the corrective statements, which are required to make the public aware of the adverse health effects of smoking and exposure to second-hand smoke, the addictiveness of smoking and nicotine, and the lack of any significant health benefit from smoking “low tar,” “light,” “ultralight,” “mild,” and “natural” cigarettes. Under the new policy, the AMA will work with state and medical specialty societies as well as public health organizations to increase public awareness of the tobacco companies that were found in violation of the RICO Act and the corrective statements that they are being required to publish. Beginning this month, the statements will be advertised in major newspapers, on national television stations during primetime, on each company’s website and printed on cigarette packages. The policy also encourages state and medical specialty societies to work with appropriate public health organizations in their states to help identify public policies that may have been directly or indirectly-influenced by tobacco companies, and encourage lawmakers to reject any potential tobacco industry influences on future policy. For the last five decades, the AMA has been a supporter of anti-tobacco efforts ranging from urging the federal government to support anti-tobacco legislation prohibiting smoking on public transportation to calling on tobacco companies to stop targeting children in their advertising campaigns.